My background is education and teaching high school students about 3dprinting. I have often thought to myself, ‘how can we engage even younger children into 3dprinting?’ I teach teenagers and they love 3dprinting, they can’t get enough of it and they demand it in most lessons now! However, how do you get elementary age children to understand and relate to the concept of building objects layer by layer? Well the answer has been created by Carla Diana and her 3dprinting robot ‘Leo the Maker Prince’. Leo the Maker Prince is a intriguing account of how a 3dprinting robot comes to the aid of an accountant called ‘Carla’, who with the onset of Hurrance Sandy, was blown from her bicycle by a sudden gust of wind and ended up blacked out on the sidewalk. When she came around a little robot called ‘Leo’ was looming over her. Leo assists Carla and takes her on a journey of 3Dprinting adventures throughout the book, all expertly written with the aim of educating youngsters about 3dprinting. I haven’t read a children’s book since I was a child and this one brought a smile to my face. I would never have thought as a 31 year old that I would enjoy reading a children’s book. I enjoyed it so much I read it again! The joy about this book is the subtle way Carla manages to breakdown the often complex terminology of 3dprinting and make it understandable for young children. The book introduces children to key technological terms such as ‘prototype’ and ‘Fibonacci sequence’ in the ‘fun facts’ section of each story, along with stunning art work that makes the book visually appealing to children, this really is an educational masterpiece. The story entices you into reading more as the chapters are short, sharp and easy to absorb. I could personally see this book being a perfect way for teachers to introduce young children into 3dprinting before exposing them to the actual physical machine.T hey would compliment each other and really enhance the learning of students. Overall this book is fantastic, I am not aware of anything else on the market that offer this kind of 3dprinting experience for young children. Carla explained she took seven months to write the book and she designed all the characters herself with the help of a summer apprentice Alexa Forney (a student in the Product Design Program at Drexel University) who assisted with the brainstorming, sketching and CAD aspects of the designs. The project was further assisted by story editor (Cindy Hanson), book designer (Nicholas Lim) and photographer (Claudia Christen) who were involved in helping make the objects fit with the story line. When asked about the future of Leo the Maker Prince, Carla is excited about where the book will take her. 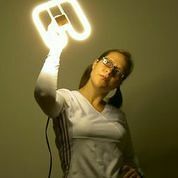 Already she has had great success since launching the book and has worked with Makerbot to host reading events in their 3dprinting stores in New York City, Greenwich, Connecticut and Boston. 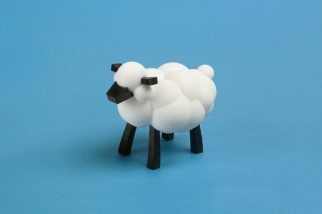 Carla has also featured in a six day residency programme at the Museum of Arts and Design that was sponsored by Shapeways. Here in the UK we are looking forward to Carla bringing Leo the Maker Prince to London on 30th April when she will take part in an online webcast called, “Behind the Scenes of LEO the Maker Prince: Journeys in 3D Printing”. Check out the link to find out more. http://www.oreilly.com/pub/e/3052. Carla is also due to visit the UK at the end of May to spread the message of Leo and 3dprinting further with some great events planned. Her next event in the USA will be at ‘Maker Faire and MakerCon’ in California. Leo the Maker Prince is really making inroads in the education of children and 3dprinting. Carla describes her the most memorable reaction from a child the moment when she noticed a young boy engrossed in the book reading intently page by page about the stories of Leo. When she spoke to the parents, they informed her that this young boy (Asher Weintraub) had designed and developed, with the help of 3dprinting, an invention to help celebrate both Hanukkah and Thanksgiving simultaneously. The object has since sold 7000 copies and the young designer was invited to meet President Obama in the Whitehouse. Carla explained, ‘The entire time his parents were explaining this boy’s creativity and ambition to me, his head remained buried in the book. I felt that if a young expert such as he was so immersed then I must have done something right!’ Carla also has great plans for the future of Leo, one day she hopes that Leo will be brought to life in an animated series where children can print models that they see in the episodes. This really is an amazing ground breaking project. I am not aware of anything else out there at the moment with the vision to educate a generation about 3dprinting. 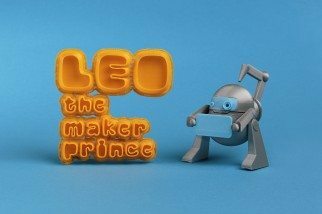 Most 3Dprinting educational resources I have experienced are aimed at high school students, Leo the Maker Prince is the perfect way to introduce young children to the exciting and rapidly moving world of 3dprinting. Carla has Leo the Maker Prince featured on Amazon, check out the links below. That’s a good article Philip. I am impressed with your writing skills. We will probably have a printer in our school one day.